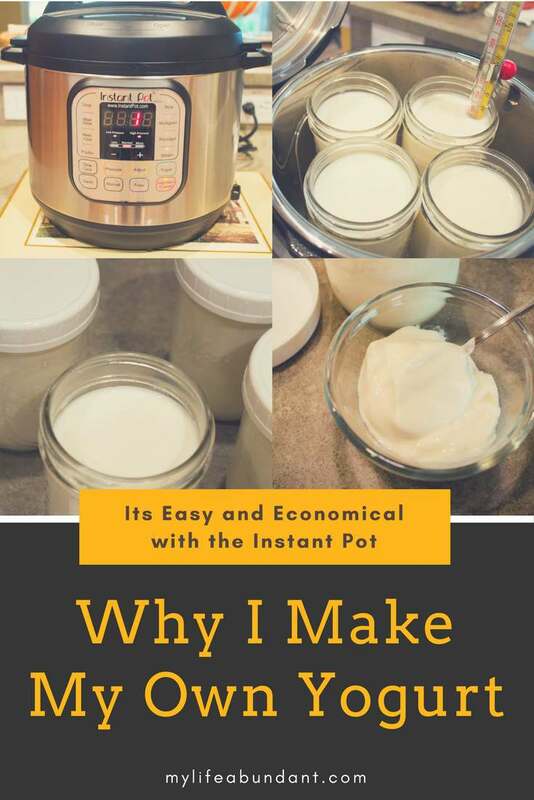 Learn how to make your own yogurt with the Instant Pot. It’s easy, it’s cheaper and it so creamy and healthy for you. There are so many reasons why I make my own yogurt. I’ve been making yogurt now for over a year and I have no reason to buy from the store now. It really saves me so much money and its a great way for me to get the calcium I need since my system doesn’t like calcium supplements. I only use whole milk since it has much more vitamins in it, which my body needs. I know some people use 2% milk, but whole milk will make the yogurt much creamier and thicker. I use either Yogurtmet or Cultures for Health yogurt starters. I have also used my own yogurt as a starter and you can use yogurt from the store but be sure it says Live Active Yogurt Cultures on the packaging. The equipment I use is the Taylor candy thermometer, mainly because it’s not that expensive and works well for this process. I use large mouth Mason jars and the Mason white lids (I love those lids) since they fit inside my Instant Pot the best. Yes, I use an electric pressure cooker to make my yogurt. I have tried using one pot on the stove, but I ended up using several pots in the process. One to cook in and one to cool down the jars before adding the culture. I also had to use a cooler for the jars to sit in while the yogurt was incubating. I wanted to use just one pot for the whole job and make clean up easier. Put the steamer rack in the bottom of the Instant Pot and add 1 cup of water to help the milk steam. 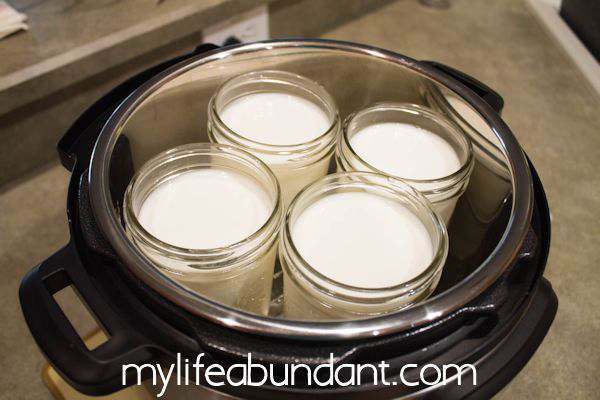 Set in 4 clean Mason jars and add the milk to the bottom rim of the jars. Twist the Instant Pot lid in place and make sure the vent on top of the unit is turned toward “sealing” and the unit is plugged in. Push the Steam button and adjust the minutes to 1 minute. It takes about 25 minutes for it to run the cycle and naturally let the steam release on its own. In all from the time you start the steaming process until you can start checking the temperature of the milk is about 90 minutes. I next unplug the Instant pot so it won’t keep the pot warm. When you remove the lid to check the temp of the milk, you will see a skim on top of the milk. That’s very normal and all I do is take a spoon to remove it and discard. 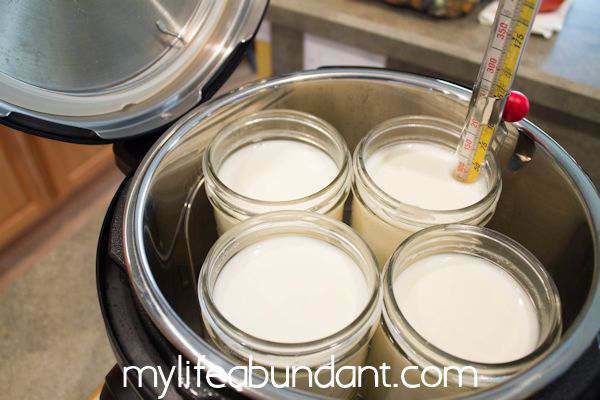 I next add my thermometer in the milk and wait for it to get to 120 degrees Fahrenheit or 50-55 degrees Celsius. That temp is crucial for making thick yogurt. It will take several minutes to get to the right temp. Just don’t walk away from it for a long period of time. This is when I usually do some kitchen chores so I am close by. I have ruined a few jars of yogurt because I didn’t wait for the temp to get to 120 degrees and added the yogurt starter anyway. All I ended up with was watery milk. 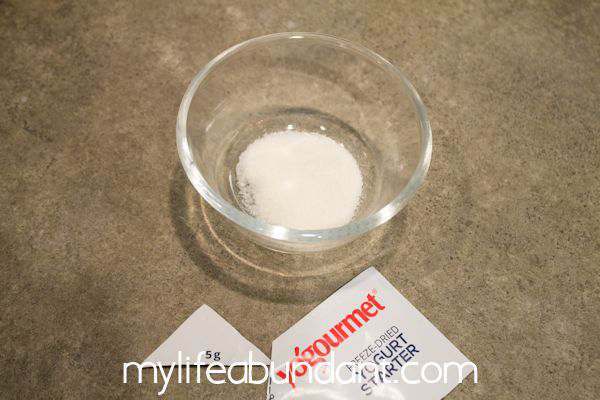 After you reach the correct temperature, divide the yogurt starter into 4’s and add it to the milk and stir well. Follow the directions of the yogurt starter for how much to use in each batch of yogurt. For my batch of 4-pint jars, its one packet. 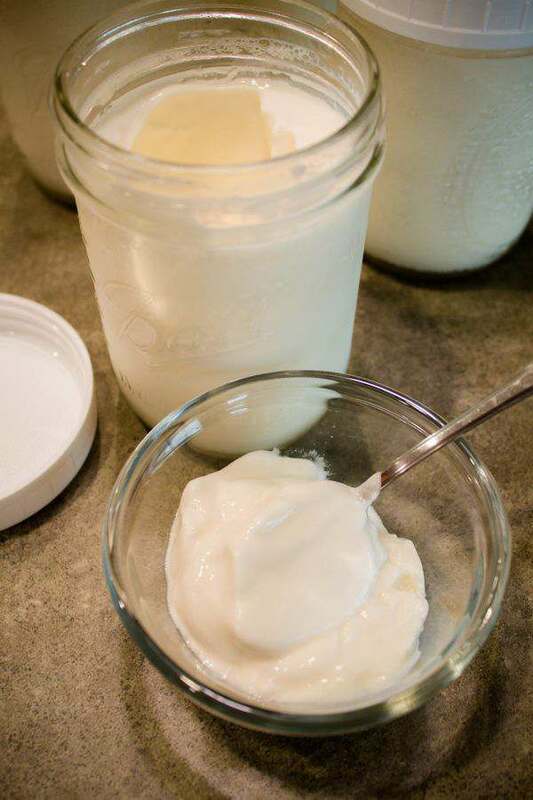 If you are using yogurt already made, just put a heaping tablespoon in each jar and stir well. I have also put in a small amount of vanilla in the milk to give it a bit of flavor. I love it either way. Twist the Instant Pot lid in place and make sure the vent on top of the unit is turned toward “sealing”. Plug the unit back in, and press the Yogurt button and set the time following your yogurt starters instructions. It ranges from 4 – 6 hours. If you are using real yogurt the time would be 6 hours. Now you just wait until the time is up and your yogurt is done. The instant pot is not heating up in this process. It’s just keeping the yogurt at a level temperature while it incubates. “Yogt” will appear on the display once incubation is complete. After the timer has gone off, remove the lid, place the lids on the jars and set in the fridge for a few hours to completely cool off before you enjoy. It will last about a month in the fridge. When you spoon out any of the yogurt, you will notice a watery substance when you open the jar later. This is called “whey” and is normally drained from yogurt you get from the store. I just pour it off and spoon out what I want to eat. Don’t mix it in the yogurt or it will make it runny. I have read articles on how to drain this off after you make your yogurt, but that was a step I didn’t care to do and makes the process even longer. This method is the easiest of all the methods I have tried. For 4 pints of yogurt, it costs me about $2.00 which is the price for a 1/2 gallon of milk. If you use your own yogurt for starter, it’s even cheaper. One of the cons of making your own yogurt is it is a bit time-consuming. The process from beginning to end takes about 8 hours. But 4 – 6 hours of that time, the yogurt is just incubating and you can go on with your day. Why I Make My Own Yogurt? I thought I had tried everything to do with cooking. But I was wrong. I’ve never even thought of making my own yogurt. Well done! I am so interested in trying this! I can’t have regular yogurt because of lactose intolerant, but I would love to make something like this with my lactose-free milk. I absolutely love yogurt. 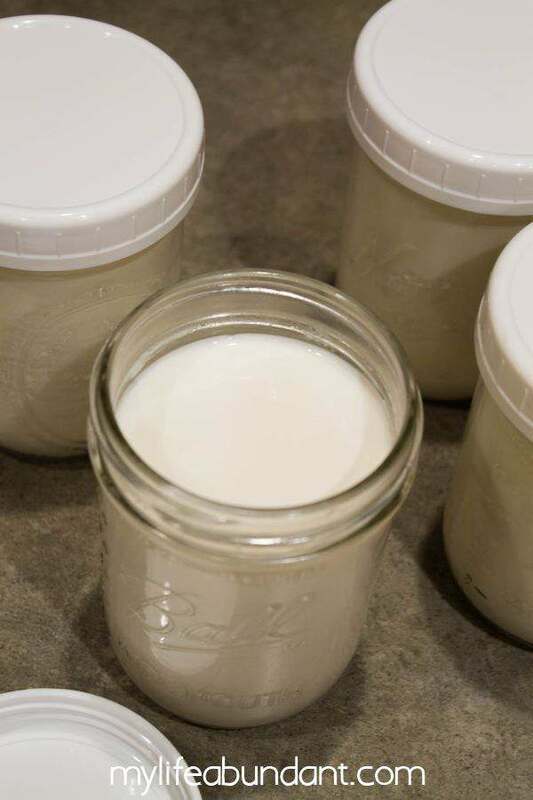 I make homemade yogurt every week. If I want greek yogurt I just strain it so it will be thicker. I don’t own an instant pot but that doesn’t have to stop someone from making their own yogurt. Homemade is the best. You are so right Candy. There are so many ways to make yogurt, but I was using so many utensils in my small kitchen that just using the Instant Pot kept me from doing that. And homemade is the best. Thanks for stopping by. 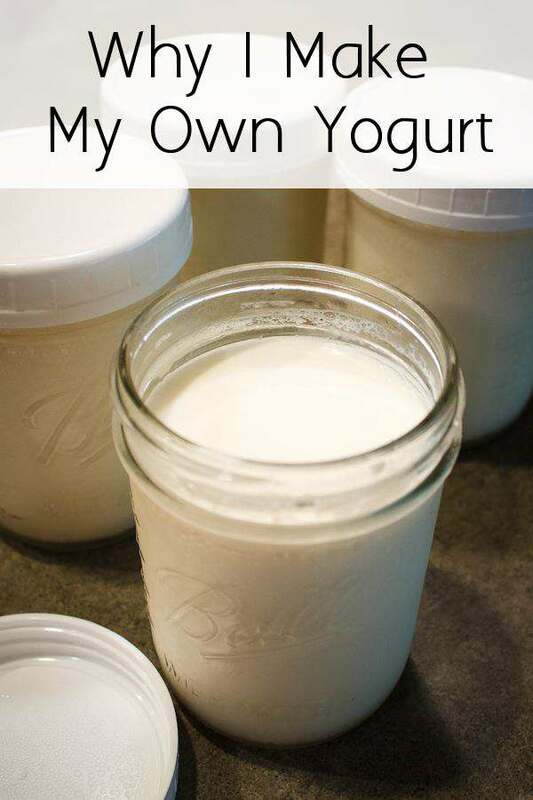 I never thought about making my own yogurt! We love it in our house so I bet it would save a lot of money for us. I have never thought about making my own yogurt, but now that we are raising our own dairy goats I think I might give it a try. Thanks for the info. H Chrishelle. There is a yogurt starter to use with goats milk. Its the same brand of the starters I use. 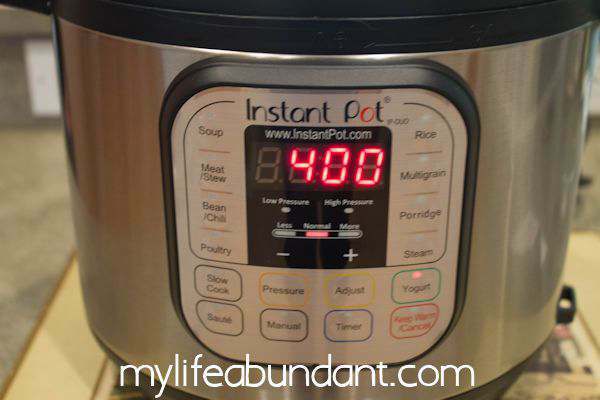 I have seen so many recipes for the Instant Pot lately. It’s really making me want to get one. We eat a ton of yogurt so it would save money for us to make our own. Hi Pam. 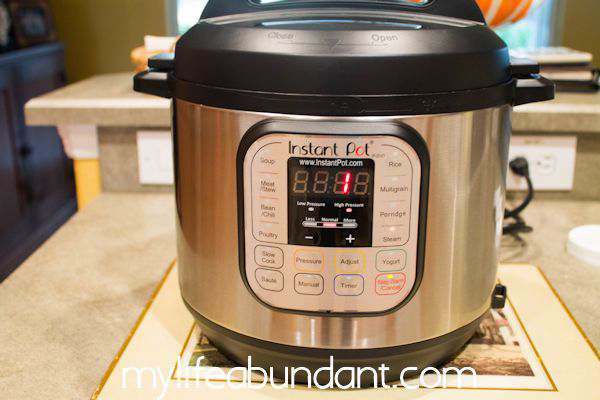 I’ve been using my Instant Pot now for several months now and love it. Its so worth having one. Wow, you make the process look easy. I’ve never even considered making my own yogurt before. I can’t wait to try your recipe in my new electric pressure cooker. I’m looking for recipes that I know we’ll enjoy. I don’t mind that it’s time consuming, most of my recipes are. Wow, I would never think to make my own yogurt. I might have to try it. You make it sound so good. I would love to try making my own yogurt. It looks easy to do and delicious. I will have to save this post. I am allergic to yogurt but this recipe looks like a great one for those who want to be more in control of their food and love to cook. Thanks for sharing your tips. This InstantPot looks likes great for making your own yogurt. I know a friend who has been looking for a yogurt maker so I will have to share this with him. Thanks for sharing the information and this awesome machine. Amazing! I never thought it could be done at home! I could follow this recipe and if it turns out perfect, maybe I can start experimenting with adding fruits in it. Maybe this could make me start a small business. 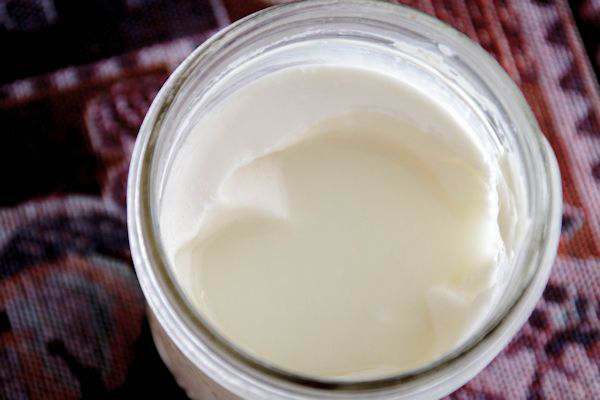 Homemade yogurt. 🙂 But first, I have to get an Instant Pot! Wow, this is pretty neat. I did a lot of canning over the summer and didn’t realize that I could be making yogurt too. 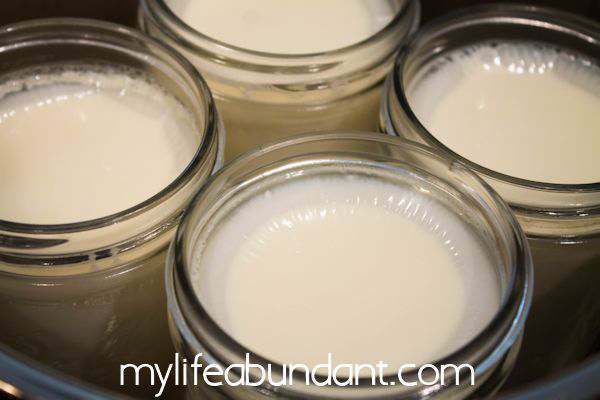 I have never made my own yogurt before but it seems easy enough! I need to try this!! I just made yogurt for the first time in my Instant Pot. I hope everything went well for Char. I know it took me a couple of times before I felt really comfortable doing this process. Thanks for stopping by. Thanks so much for pinning and thanks for the heads up about the Yogurt! BTW this looks awesome.